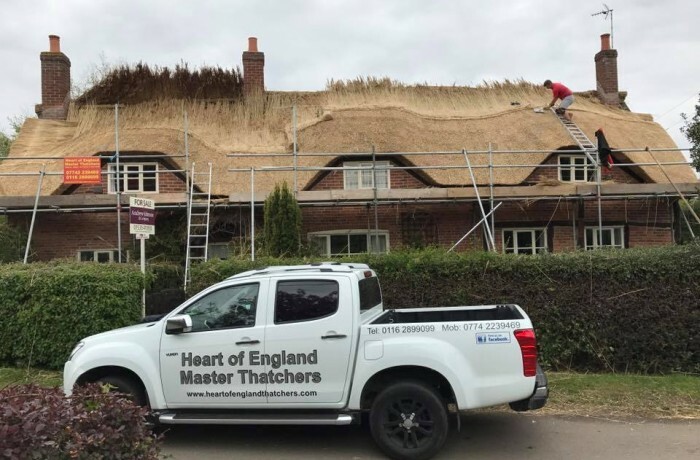 With the frantic few weeks of the Ideal Home Show the other week we are back on track. 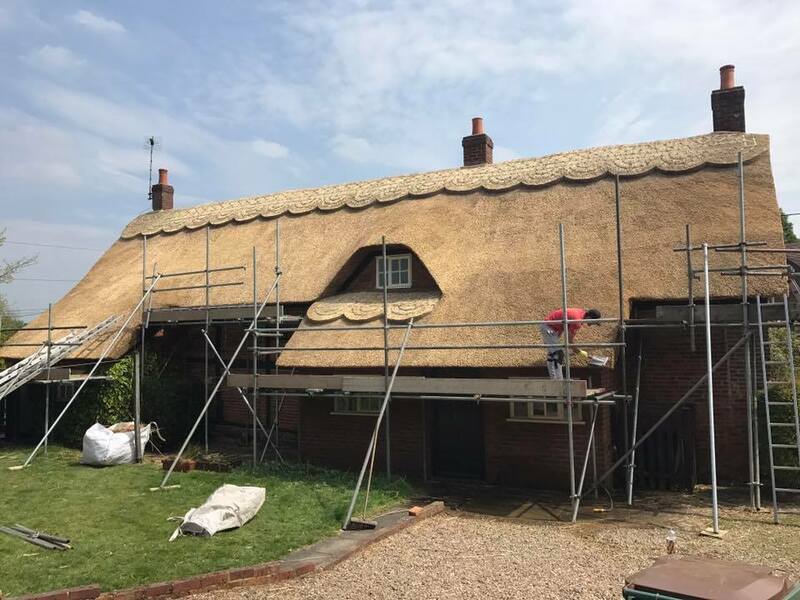 This job was a re-thatch in Packington, however, it was meant to be a half re-thatch but after the team had finished the reed work on the rear of the property, the customer decided they would like the front doing as well. 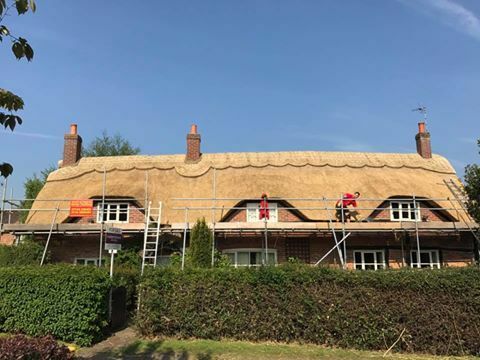 This pushes our scheduling back slightly but our team will get our heads down and push on to get this job finished as quickly as possible to a high standard. 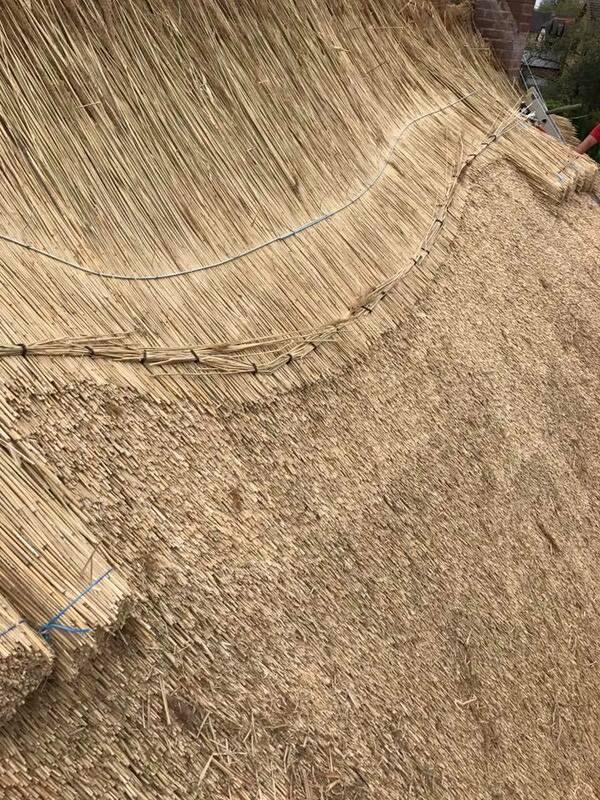 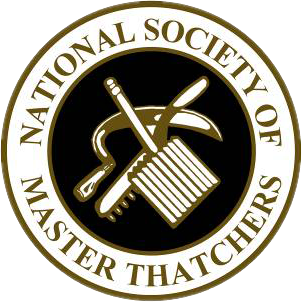 If you have any queries regarding roof thatching, then get in touch with us today!